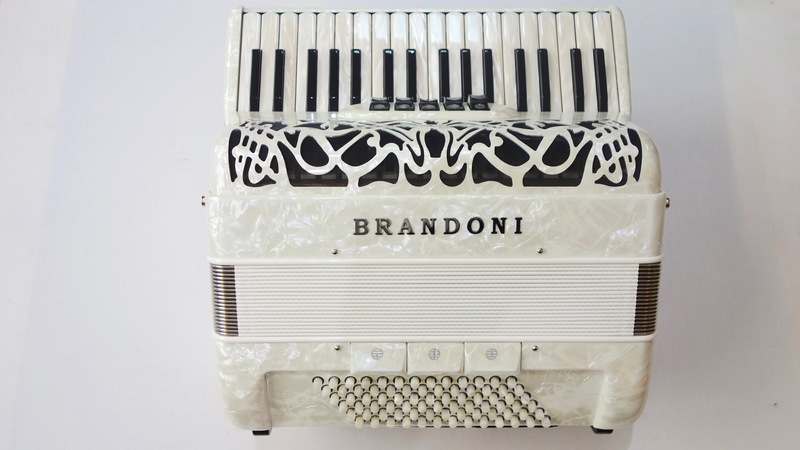 A Brandoni Model 66 LI 78 Bass Accordion, handcrafted in the Italian town of Castalfidardo. This top quality 78 bass instrument, would be ideal for anybody looking for a professional standard accordion, but without going for something too large and bulky. This Brandoni features exceptional build quality, and is set up to a three voice tremolo, making it ideal for most styles of playing. The keyboard boasts an extremely low and quick action, which, when combined with the extremely responsive reeds, makes fast playing a breeze. 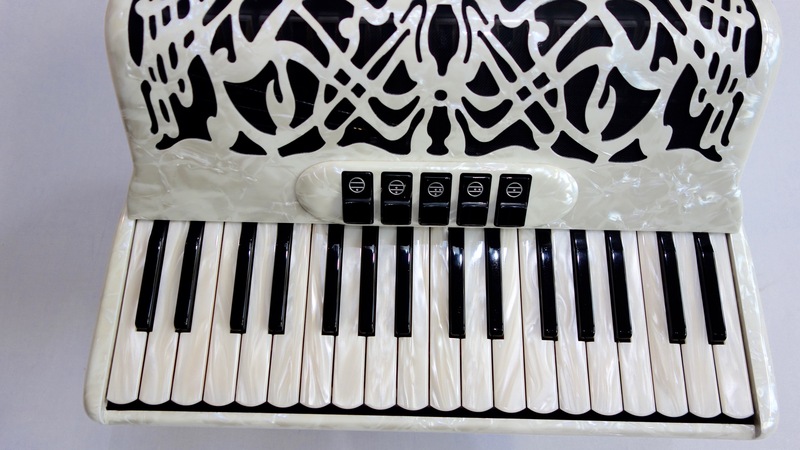 This Brandoni 78 bass accordion is finished in a very attractive pearl white, with matching pearl treble keys and bass buttons. 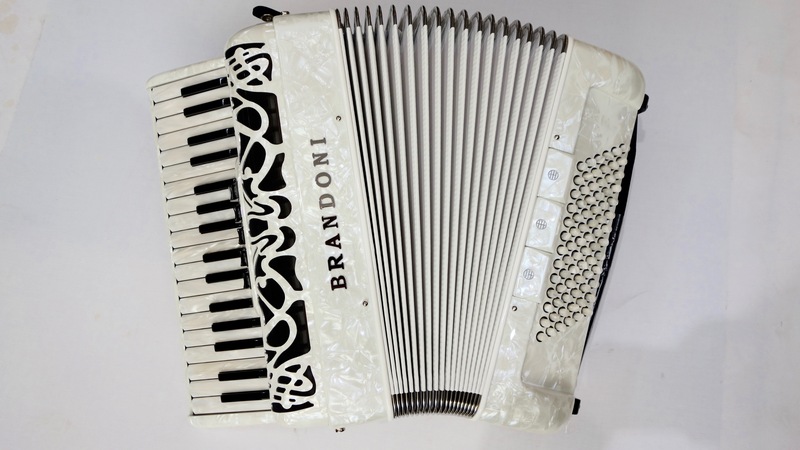 Don’t forget, free delivery of this Brandoni Model 66 LI 78 Bass Accordion to most parts of mainland UK is included. 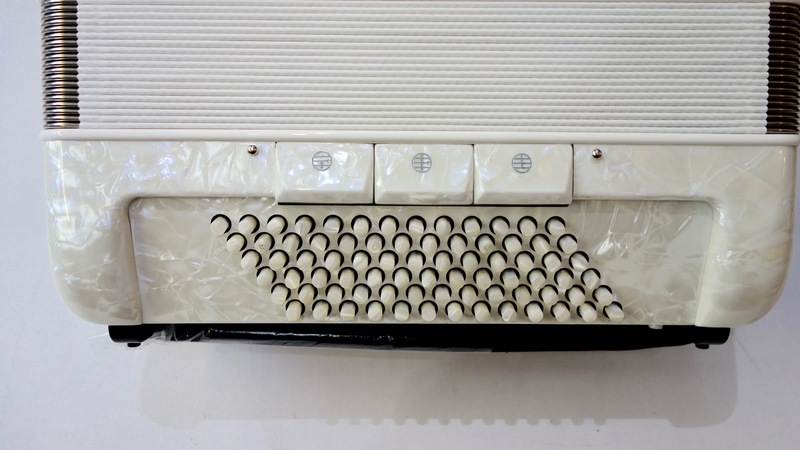 A 0% interest free loan is available on this Brandoni Model 66 LI 78 Bass Accordion subject to status via the Arts Council. Terms and conditions apply – please contact us for full details. This Brandoni Model 66 LI 78 Bass Accordion comes complete with your choice of either a soft gig bag or a hard case, padded shoulder straps and a full five year component parts guarantee. Don’t forget, free delivery of this fantastic Brandoni accordion to most parts of mainland UK is included in the price! Weight: 7.71 Kg. - 17 Lbs.